Billie Piper was born in 1982 in Swindon and she studied at the prestigious Sylvia Young Theatre School. She caught the eyes of record producers who were interested in signing a young vocalist when she was the poster girl for an ad campaign for the pop music magazine, Smash Hits. She released her first single, "Because We Want To", in 1998 which debuted at number one when she was just aged 15. Her second single "Girlfriend", released in the same year, was also a number one hit. Billie had another number one in 2000 with "Day and Night". She then decided not to pursue a musical career but to become an actress. Before becoming Rose Tyler in Doctor Who Billie Piper appeared in an episode of The Canterbury Tales in 2003 and in 2004 she was in - The Calcium Kid and Things To Do Before You're 30. While in Doctor Who Billie Piper appeared in Much Ado About Nothing in 2005. Since leaving Doctor Who in 2006 she has played the part of Sally Lockhart in television adaptations of two novels by Philip Pullman - The Ruby in the Smoke, in 2006, and The Shadow in the North, in 2007. She also played the part of Fanny Price in the 2007 television adaptation of Jane Austen’s Mansfield Park. She has also played the leading role in The Secret Diary of a Call Girl. The first companion for a new generation of Doctor Who viewers, Rose Tyler served as the eyes that would guide the new generation of audiences as they explored The Doctor's world once again. Originally a simple shop assistant in modern-day London, having failed to take her A-levels but managed to win a bronze in the under-seven gymnastics tournament, Rose lived with her mother, Jackie Tyler - her father having died when she was only a baby - on the Powell Estate block of flats, spending her spare time with her boyfriend Mickey Smith as she made her way through a relatively unremarkable life. Eventually, this situation changed completely when Rose stayed late at the shop one day, going down to the basement levels to check with the chief electrician as she deposited the money for the shop's annual lottery deposit. While down there, she was confronted by the Autons - beings of sentient plastic - who attempted to kill her, but she was rescued by the (apparently newly regenerated) Ninth Doctor, who was investigating the Nestene presence on Earth, their food planets having been 'destroyed in the war' (What war was un-revealed at first). In a final confrontation with the Nestene Consciousness underneath the London Eye - which the Consciousness was using as a transmitter to active its living plastic. While The Doctor was occupied with an Auton, Rose dropped a phial of 'anti-plastic' into the vat containing the Nestene Consciousness, destroying it and subsequently causing the Autons to shut down. As The Doctor departed, he asked Rose if she'd be interested in joining him - unique among companions, he actually asked her to join him twice, although the reason why he came back was never revealed - and, after the second request, Rose ran into the TARDIS after a quick goodbye to Mickey, grinning broadly as she prepared for the trip of a lifetime. In many ways, Rose is unique among companions for several reasons; for one thing, her backstory was revealed to the audience in her debut, rather than her history being revealed as the story unfolded. Unlike most past companions, Rose also remained in contact with her life back on Earth in her present, thanks in no small part to the 'Superphone' - a mobile phone that The Doctor had upgraded on their first adventured together - as well as The Doctor's customary visits to her present (Although, admittedly, in the past The Doctor's companions either didn’t have anybody they wanted to stay in touch with from their old lives in the first place - these companions including Dodo, Peri, Ace and Fitz Kreiner - or The Doctor's current skills at piloting the TARDIS meant that he couldn't get them back home in the first place - Ian, Barbara and Tegan Jovanka were numbered among this ‘class’ of companion). In a manner that The Doctor hadn't been able to enjoy since his days with UNIT, he now had regular allies on Earth, in the form of Rose's mother Jackie and her ex Mickey, although he only really started to get along with them after his regeneration. Despite her rather simple background, Rose easily fit into her new role as The Doctor's companion, surviving confrontations with both the Daleks and the Cybermen on several occasions. It was most likely Rose’s strength of character that resulted in The Doctor developing feelings for her; while it was never expressly stated, there were several hints over the course of the series that The Doctor was particularly close to Rose, even by the usual standards of The Doctor/Companion relationship. 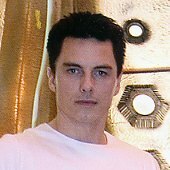 More than ever before, people were often asking The Doctor or Rose if they were romantically involved with each other, and the Ninth Doctor even showed jealousy over Rose’s still-close relationship with Mickey, to say nothing of his original reaction to the presence of Adam Mitchell and Captain Jack Harkness. Even Rose was prone to jealousy of the female attention The Doctor attracted, ranging from the sentient tree Jabe ("The End of the World") to former companion Sarah Jane Smith ("School Reunion"), and even Madame de Pompadour ("The Girl in the Fireplace"). However, throughout the series, neither of them actually admitted to their feelings, the closest either of them came to doing so being when they both thought they were trapped in the future and contemplated settling down together; although they did kiss on a couple of occasions, Rose was technically possessed both times, and so was not responsible for her actions. Despite her talents as a companion, however, Rose was prone to making some significant mistakes. One of the worst of these was when she convinced The Doctor to take her back in time to see her deceased father, Pete Tyler, when he was killed in a car accident ("Father's Day"); Rose had only intended to be with him as he died, as nobody was there for him when it actually happened, but she gave in to temptation and saved his life instead. Outraged at her disregard for the laws of time, The Doctor nearly left her behind, but when the TARDIS lost its link with the interior dimensions and Earth was attacked by time-dwelling creatures known as the Reapers, The Doctor returned to Rose and her parents, hiding in a church where the Tyler’s had been about to attend a wedding. Initially, The Doctor attempted to simply force the Reapers to depart, thus leaving everything as it was after The Doctor and Rose had originally interfered - in other words, leaving her father alive - but when Rose accidentally made contact with her infant self, a Reaper attacked them inside the church, forcing The Doctor to sacrifice himself. With no other option, Pete Tyler, realising that The Doctor had refused to take the easy option to solve the problem because he wanted to protect Rose, allowed himself to die in the car accident to restore the timeline, assuring Rose before he left that he was grateful for the extra hours she had allowed him to have with her. Rose's devotion to The Doctor was made particularly clear during their confrontation with the Dalek Emperor, one of the few other survivors of the Time War that had destroyed almost the entire Time Lord and Dalek race ("Bad Wolf/The Parting of the Ways"). As The Doctor and new companion Jack Harkness attempted to arrange a defence against the Daleks, The Doctor sent Rose and the TARDIS back to her own time where she’d be safe. Rose, however, refused to give up, and, aided by Mickey and Jackie, opened the TARDIS console, exposing herself to the full power of the Time Vortex. Transformed into a virtual god by the power of the Vortex, Rose travelled back to the future and turned the entire Dalek army to dust with a wave of her hand, responding to The Doctor’s pleas for her to stop by saying that she wanted him safe. However, as the Daleks disintegrated, the power of the Time Vortex began to destroy Rose’s cells, and The Doctor, wanting to save Rose, kissed her, drawing the Time Vortex into himself… as well as taking on all the cellular damage Rose had already sustained. As the TARDIS departed, Rose awakening with no memory of her momentary godhood, The Doctor’s cells began to collapse, and he regenerated into his tenth incarnation moments after saying goodbye to Rose, assuring her that she’d been fantastic. Although Rose initially found it hard to adjust to The Doctor’s new appearance - indeed, she briefly wondered if The Doctor had been kidnapped and replaced with somebody else - she soon came to care for the Tenth Doctor just as much as she had for the Ninth, easily accepting him as The Doctor after he single-handedly saved Earth from The Sycorax moments after regaining consciousness. Despite the fact that she failed to do anything about the Sycorax invasion before The Doctor recovered from his post-regenerative coma, Rose still showed a great deal more courage than she had in her early days with The Doctor, encouraging a spaceship crew in the distant future to organise a defence against The Beast ("The Impossible Planet/The Satan Pit"), a creature that claimed to be the Devil itself, when The Doctor was trapped ten miles underneath the surface of a planet and the crew were facing a race called The Ood who'd been turned into the Beast's army. On a smaller scale, Rose also managed to stop an Isolus - a space-dwelling being that had become trapped on Earth, in a girl called Chloe, and sought friends by turning people into drawings - when The Doctor was turning into a drawing by the Isolus. Discovering that the flames of the Olympic torch were just what the Isolus' 'ship' needed to recharge - the torch's flame being a beacon of light and love - Rose hurled the ship into the torch as it was carried past, the restored Doctor subsequently lighting the flame after the original bearer collapsed when the ship made contact with the torch ("Fear Her"). In the end, however, despite her own wish to stay with The Doctor forever, Rose's time in the TARDIS was forcibly cut short. While investigating a strange, worldwide phenomenon involving what appeared to be a mass of ghosts appearing all over Earth ("Army of Ghosts/Doomsday"), caused by the experiments of the Torchwood Institute in experimenting with a rift in reality, The Doctor and Rose discovered a mass invasion being organised by the Cybermen of the parallel Earth they'd visited previously... and, even more terrifying, four Daleks - the legendary 'Cult of Skaro', a secret order who even went so far as to name themselves and feel emotions in an attempt to develop new methods of killing the enemy, accompanied by the mysterious 'Genesis Ark', were there as well. As the Daleks and Cybermen went to war with each other, The Doctor and Rose once again allied themselves with the Preachers and the alt-Pete, but failed to do any significant damage to either side as the Cult of Skaro revealed the purpose of the Genesis Ark - it was a Time Lord prison ship, containing millions of Daleks, requiring only a brief touch by a time traveller to open it. As the Dalek numbers grew, depriving the Cybermen of their only real advantage in the conflict, The Doctor hit upon a means of defeating both sides; as both Cybermen and Daleks had passed through the void between universes, they were contaminated with 'background radiation' from the Void. By sealing the rift, The Doctor would draw the Daleks and Cybermen into the Void due to the ‘Void-stuff’ that surrounded them... but, since Rose and the Preachers had been contaminated by their own trip through the Void, they would have to travel to the other side of the rift, never to return to this Earth. Rose briefly tried to stay behind with The Doctor, but she was forced to travel back to the other Earth at the last minute when she nearly fell into the rift herself. Months later, tapping into the last fragments of the rift, The Doctor managed to project a hologram of himself into the alternate universe, where he had a brief conversation with Rose. As the connection reached its end, Rose tearfully admitted that she loved him, but the connection cut off before The Doctor could admit how he felt as well, leaving Rose sobbing in Jackie's arms as The Doctor stood in the TARDIS, alone once more, tears in his eyes as he realised what he had lost. However, Rose was eventually forced to return to this universe when her own universe began to collapse as a result of a wave of destruction that had been triggered in her original universe. Her initial attempts to make contact with The Doctor failed, being limited only to brief appearances on monitors in The Doctor’s presence, and when she finally managed to break through the barrier, she found herself in an alternate universe where The Doctor had died during his encounter with the Racnoss, due to Donna Noble’s history being altered so that she had never met The Doctor. With the aid of the alternate Donna and the dying TARDIS, Rose was able to set history back on its right course and restore The Doctor, subsequently travelling to Earth just as it had stolen by the restored Daleks, Mickey and Jackie close behind her. Although The Doctor was nearly forced to regenerate as a result of being shot by a Dalek, he was able to transfer the excess regenerative energy that would have caused him to change his appearance into his extra hand shortly before the TARDIS - currently with Rose, Captain Jack and Donna on board - was taken to the Dalek Crucible, where The Doctor and Rose were imprisoned by Davros as Jack and Donna were left for dead. As he confronted Davros, The Doctor learned the full scale of his arch-enemy’s plans; using twenty-seven stolen planets as conduits to generate neutrino energy in a single stream, which, when compressed on a specific location, would cause the electrical fields holding matter together to collapse, the destruction thus travelling through the rift to the entire multiverse via the Medusa Cascade. However, thanks to The Doctor channelling the regenerative energy into his hand, combined with the presence of Donna in the TARDIS, a second, human Doctor - possessing one heart and some of Donna’s attitude while retaining The Doctor’s knowledge - was created, the process also sending some of The Doctor’s knowledge into Donna. While the companions and the two Doctors distracted Davros, Donna set the magnetron the Daleks had used to steal the planets into reverse to send them back to their points of origin, the second Doctor subsequently causing the Daleks to self-destruct. Although Mickey decided to remain on this Earth, The Doctor was forced to take Rose and Jackie back through the rift to their new parallel world; with the Daleks’ plan having been thwarted, the barriers between alternate worlds were being restored. However, realising that the brutal manner in which the second Doctor had dealt with the Daleks reflected his own attitude towards life after the Time War, The Doctor left his clone with Rose; being predominately human, this Doctor would live a normal human life span, and he desired nothing more than to spend it with Rose. As the second Doctor and Rose kissed, The Doctor and Donna departed, The Doctor leaving Rose and his clone to live the life that he himself could never have. Despite her departure and their final farewell, The Doctor continued to remember Rose fondly; when the Tenth Doctor, dying of radiation poisoning, decided to look in on his old companions, he saved Rose until last, staying in the shadows as he dropped in on the Powell Estate of New Year’s Day, 2005 - the day she met his ninth self - to wish the past Rose a Happy New Year, assuring her that it would be a good one ("The End of Time"). Later/earlier on, it was revealed that when the War Doctor - The Doctor who actually fought in the Time War - attempted to trigger the Moment, a galaxy - destroying weapon of such complexity that it developed sentience and a conscience, the Moment manifested a holographic interface that appeared to him as Rose in her ‘Bad Wolf’ phase, stating that it had chosen the form of someone important to The Doctor in his past or future (Although only the War Doctor ever saw her and his memories of interacting with her were subsequently erased) ("The Day of The Doctor"). This has to be when she first appears on the show – and so launches the return of Doctor Who to our television screens. Like many young women Rose was a simple shop assistant. She went to work each day, met up with her boyfriend before returning home where she lived with her mother. This though all changed when, on leaving at the end of the day, she had to go on one last errand that took her into the basement of the department store where she worked. There she found herself chased by mannequins (which she later found out were Autons) and having to be rescued by a strange man (which she later found out was The Doctor). This was to be the start of a trip of a lifetime for Rose – and us all.